Below is the email I received from DNS team and I have highlighted some important points (in bold) which were also the reasons to move to this registrar. Your friends at DomainNameSales.com would like to let you know about some exciting changes that will be taking place between now and Q1 2015. Our goal at DNS has always been to help you unlock the value of your domain name portfolio. The tools at DomainNameSales.com were originally developed to help bring liquidity to my portfolio of names; and later to those of InternetTraffic.com clients. To this day I use the same tools available to our customers, to sell my names and to clear transactions. Year to date I have sold more than last years total (12 million dollars) using the DNS platform. It is the platform that makes that possible. We are very, very proud to see the first full version of Uniregistry reach its completion milestone. It wasn’t until 2 nights ago while managing several thousand names on behalf of a client that I realized the gravity of the site we’ve built. Uniregistry is absolutely the best available domain name registrar for managing large portfolios of names. It works brilliantly with a small number of names and it scales exceptionally if you have a portfolio of many thousands. Using the registrar last night gave me chills because it’s so good; so full featured, so fast and so robust. We set an incredibly high bar and the team here completely eclipsed their ambitions. This is only the beginning though. With the completion of Uniregistry our development team has turned to the integration of our sales platform (which has brought so much prosperity to so many). In a few short months DNS will debut inside Uniregistry. Regardless of where your names live, you’ll soon be able to load names into the Uniregistry manager to better manage and sell your domain names. Names residing at Uniregistry will have even greater powers to sell than those provided via DNS today. The system will be easier. Uniregistry customers will be able to clear transactions on our merchant credit card system, use our payment-plan system and our integrated escrow services at very low cost. We will also syndicate your inventory across other registrars and large marketplaces to provide more sales inquiries. In advance of these changes, new innovations keep coming. Recently we launched our Tracker to consolidate and identify names, now Uniregistry’s Documents.link feature (debuting this week), will let you store documents, legal notices and sales inquiries relating to domain-names — all inside the Uniregistry Manager. This useful system lets you email, store and maintain notifications received from outside parties using Uniregistry and the Amazon cloud. As we integrate, it’s really important for you to become familiar with Uniregistry.com and these new features. Please take the time to create and explore your account, or contact our sales professionals at sales@uniregistry.com, so we can answer any questions and assist you with getting started. Please contact Sevan Derderian sevan@uniregistry.com and Frank Pavilonis frankp@uniregistry.com to schedule a consultation or if you have any questions. I am always confident that DNS team will always come up with new innovations and it’s exciting to be part of this company. So far it’s great experience with DNS/Uniregistry and I will suggest one to use their platform and I believe you will definitely love it. 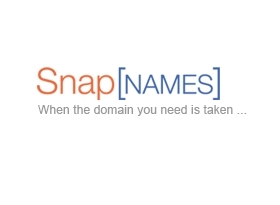 I was in an auction for the domain M8.com at SnapNames and it ended up selling for $75,500. Although it seems the payment is still pending so will need to wait and see who actually the new owner is. I will update this post once the hand changes. Great domain though. Number 8 is always favorable among Chinese. Do you think it was reseller or an enduser price? UPDATE – I found the buyer of M8.com is the same guy who is using bidding alias “first” at NameJet and buying mostly every LLL.com and other high quality names. This guy is shelling out thousands of dollars every day. It seems a Chinese buyer and they are heavily investing in domains. More than a year back I wrote a post about reviews on some registrars through which I have dealt with and GoDaddy being my preferred registrar until last month but since than my priority has been changed and I have moved more than half of my portfolio to new registrar Uniregistry.com which is operated by Frank Schilling who also runs DomainNameSales where 99% of my domains are parked. I would like to share my new little experience with Uniregistry and why I decided to move all my domains to them although right now 65% of domains are moved and the rest will be completed in next couple of months time In Sha ALLAH. Frank Pavilonis (Account Executive) made me aware of their service and features which were quite impressive and I was able to make the decision quite easily. As everyone knows it’s not an easy task to move hundreds of domain out to a new registrar and get use to of their control panel. Now let me tell you in detail so that will help you in deciding whether to register/transfer domains at Uniregistry. First couple of issues for me were pricing and security and Frank was kind enough to provide me special registering/renewal/transfer pricing for the extensions I was most interested in such as .com, .net and .org. I can’t reveal what exact pricing I am offered but I would strongly suggest you to contact frankp@uniregistry.com (Frank Pavilonis) and see what they have offer for you. Overall, I am quite satisfied with their pricing customized for me. As for security, I have always felt insecure at GoDaddy because they don’t offer two way authentication in most part of the world and my country is one of them. At Uniregistry, they offer 2 step verification after which I feel completely secure in terms of domain stealing. I always wanted this feature and it was one of the key feature which tempted me towards them. As everyone admits that GoDaddy domain manager operates very slow but here you will find it pretty fast and I am very much satisfied making such decision. Another major benefit is having live chat support with the entire team of DNS including the one’s at Uniregistry so you have any issues can just talk to them. Everyone is very friendly and cooperative. I found the entire team very helpful including the tech guys behind the scene as well as Frank Pavilonis. Feel free to share your experience/feedback with Uniregistry if any. You can also ask questions directly or get in touch with Frank whose contact details are mentioned above. Please note: this is NOT a paid post.